Classic, vintage, crystal and pearl button earrings. 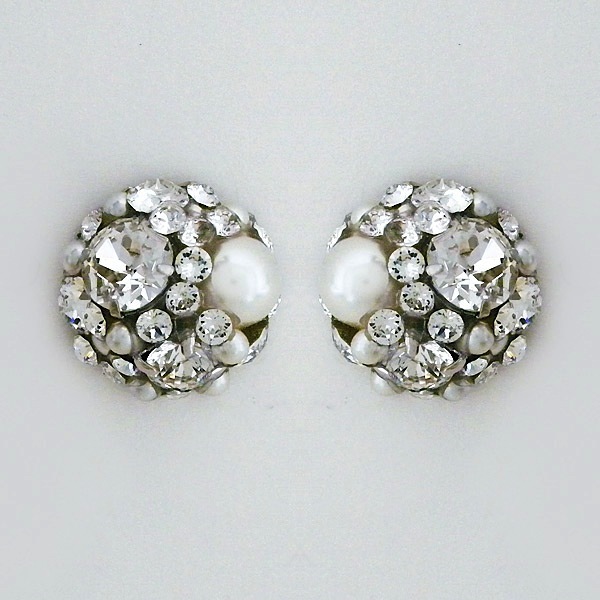 A variety of sizes of round Swarovski crystals & pearls create the perfect round earrings. 3/4″ in diameter with friction back posts. Heavy on the bling but light in weight.